Come See us at the Farmers Market on Saturday! Maybe you or someone in your family is struggling with digestive discomfort, or you are just trying to make sure your family is eating the healthiest meat and vegetables you can find anywhere. Any which way, we commit our days to serving your family’s needs. Downstairs of the Old Triangle in Sydney, the new CB Farmers Market is now open from 8:30am till 2:00pm. - Cape Breton Food Hub, if you are a member or want to become one. Starting in June, you get to order whatever you want from every farmer on the island and pick it up every Thursday at a location near you! - At the Farm: 784 King Grove Road in Millville, Every Wednesday from 3:00pm to 6:00pm. We'll have all of our meats (Chicken, Pork and Beef) and some extra vegetables available to purchase in season. So come on over, we have meat, salad greens, vegetables and herbs, and just as importantly we love to meet you and hear how we can help serve you even better. Many report an incredible taste bud delight after trying our pork for the first time. All cuts of pork are available now, including chops, ribs, ham steaks, roasts, sausages and smoked bacon. Also, beef is back! Stock up for the winter with our ''Beef Box'' or order a ¼ beef for fall delivery. 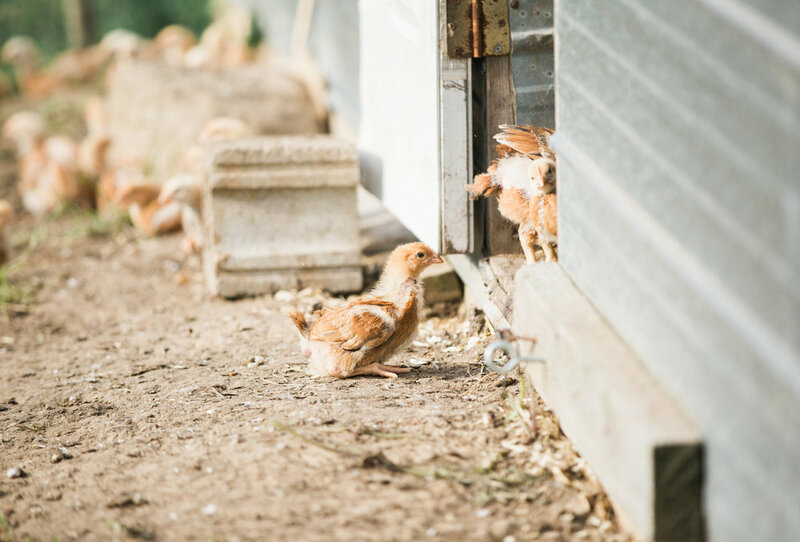 The ultimate in buying bulk, one of our chickens will feed your family for two nights with the effort of only one. Roast chicken the first night, lettuce wraps, sandwich, or soup after that. Don't feel like cooking a whole chicken? We also have chicken breast, legs and wings! Can't get fresher vegetables than at the Farmers Market! So they'll last longer in your fridge and you get your week's meal planning taken care of! So far we are growing salad greens, spinach, kale, carrots, beets, tomatoes, onions, peas and beans, ginger, turmeric and many other seasonal herbs. Only available at the Farmers Market and through the Food Hub!